CYBER TATVA's ingenious and proprietary Hospitality Management Solution: AVISHM© is one the smartest and most user-friendly Hospitality Management Solution in the market. AVISHM© is a fully integrated system consisting of Channel Manager, Central Reservation System and Property Management System. 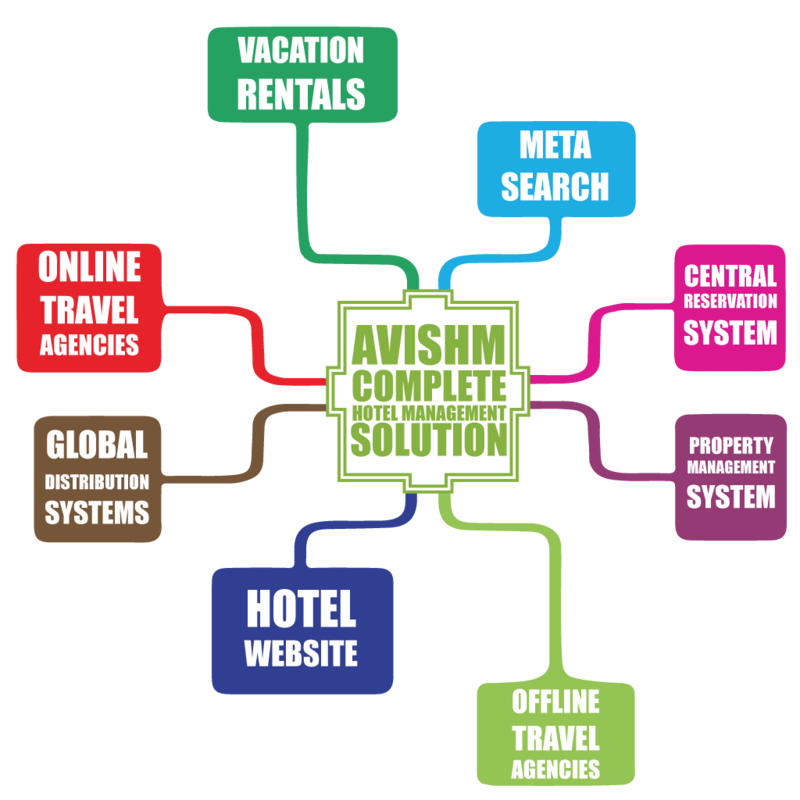 Through AVISHM© your hotel is connected to 150+ channels including Online Travel Agencies, Global Distribution Systems, Vacation Rental Portals, Meta Search Engines and Offline local travel agents network, making it possible for you to connect to markets which were difficult to reach otherwise. AVISHM© is a 2-way mechanism which pulls and pushes real-time updates between the central pool and all connected channels. Any change in inventory, anywhere, whether a direct booking, an online booking or cancellation, reflects on all connected channels within seconds. Bookings are captured instantly and reflect with complete information in a single click. With AVISHM©, Managing Payments, generating booking reports, transaction reports, tax reports etc, is done in a few clicks. Manage your critical day to day operations with increased efficiency and reduced human errors. You can relax while AVISHM© keeps track of all your critical operations. Update live rates and availability across all connected channels from a single dashboard, automatically capture bookings 24x7x365, avoid over bookings and manage last minute cancellations efficiently without losing your peace of mind.